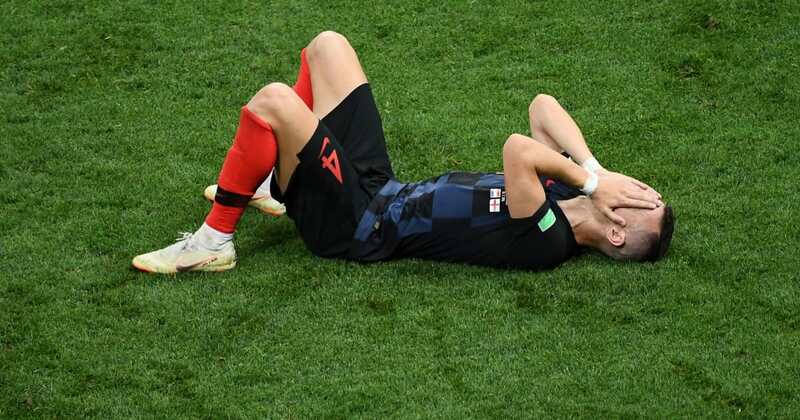 ?Following a starring role played in ?Croatia’s dramatic late win to crush England’s World Cup dreams at the semi-final stage in Russia, ?Ivan Perisic is now considered a potential doubt to play in Croatia’s first ever World Cup final on Sunday. Though it was Mario Mandzukic who struck the killer blow to send England crashing out on Wednesday night, it was Perisic who was very much the hero for Croatia. The Inter winger struck the crucial equaliser which forced the tie into extra time, before flicking the ball on gallantly for Mandzukic to hit the late winner. According to ?RMC Sport, though, Perisic’s heroics in the semi final may have come at a cost to his side and his own ambitions for featuring in the showpiece event in Moscow. It is said that the wide man suffered a thigh injury amidst the semi final drama. Perisic even received treatment in a Moscow hospital less than 24 hours after his standout performance against England, as per the ?Daily Mail, with those efforts now seemingly possible to have been sacrificial of his own place in the final for the sake of forcing his country over the line. The winger, 29, has scored twice in each of the last three major tournaments for his nation, and has become a crucial figure in Croatia’s attacking setup alongside Juventus’ Mandzukic, as was proven on Wednesday night when Perisic in particular was a constant thorn in England’s side. Perisic provided a relentless threat to Gareth Southgate’s team, with his powerful and purposeful runs down the left flank and at the heart of England’s defence causing consistent problems throughout the latter stages of the match. Much of Croatia’s hopes of overcoming favourites France in the final on Sunday will surely depend on the form and fitness of Perisic as the driving force behind Zlatko Dalic’s attack. Though captain Luka Modric has been very much Croatia’s star man throughout their run to the final of the tournament, it is Perisic who is most capable of providing the offensive spark capable of unlocking a French defence which has only conceded four goals at this summer’s tournament.